As many pilots know, with summertime comes lots of construction! Well here at the La Crosse Regional Airport, we are undergoing a few new construction projects ourselves. We wanted to address some upcoming and ongoing growing pains to give you ample time to familiarize yourself with our fresh new look! First up, we have new lights! The runway lighting project is nearing completion and is on track to be finished by the proposed date of September 14th. With a little work left to do there will still be occasional runway and taxiway closures so check the NOTAMs before you stop by! Secondly, our taxiways are getting new names! The Airport Diagram will be published with the new taxiways in the September 13th publication of the FAA East Central Chart Supplement, until then all taxiway changes are relayed through the NOTAM system. 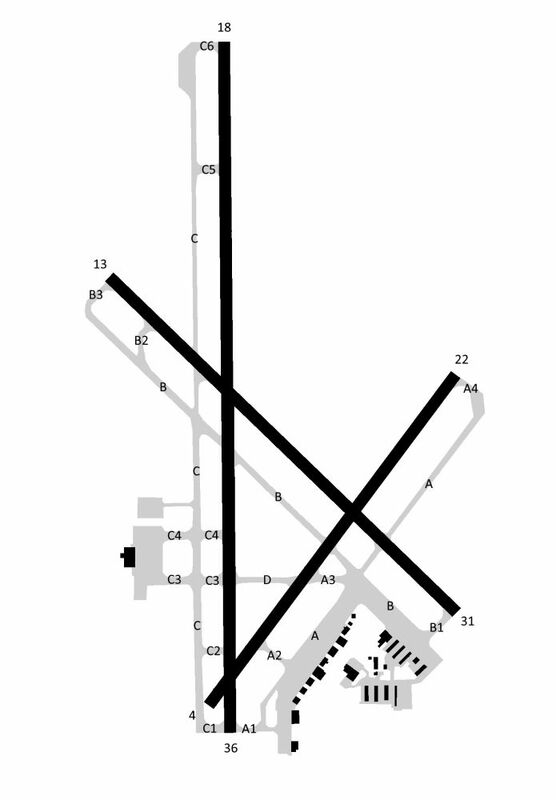 Attached to this post will be a generic airport diagram with all of the new taxiway designations. It is important to note that not all of them are in effect quite yet, so again check your NOTAMs before you taxi out from – or fly into La Crosse. I’ve heard several confused pilots looking for a “Taxiway C” on their airport diagram when on the published diagram it is marked as Taxiway F. I’ll say it again, check your NOTAMs. Even if you’re familiar with the airport, it is important to know what has changed! Changes are being made almost daily so keep yourself informed. Don’t forget to check out the attached diagram to make sure you’re familiar with the changes being made here at KSLE! Also – ask for help if you need it – “If there are pilots coming into the airport during hours of ATC operation, talk with the tower and ask them for guidance. They are learning these new designations as well, but can help guide pilots with the recent changes.” – Jason Gillett, Assistant Airport Director.